View of an activated tower on Lyoko, defended by a Megatank and Bloks. The heroes, using strategic diversion strategies, destroy the monsters without much difficulty, effectively. Despite their prowess, the teens aren’t very enthused and sigh… One more attack, one more tower down… Aelita deactivates the tower...and the Return to the Past is launched. The kids’ morale is is very low. They’re getting sick of reliving the same days over and over, the same classes, the same stupid remarks from Sissi… Ulrich is particularly weary. He feels let down when his friends refuse to leave the school grounds for a breath of fresh air… Disappointed, he returns to the dorms. Tempted to thrust his unhappiness on Odd, he confesses his weariness, his feeling towards always living the same days and how he’s sad to see his relationship with Yumi wither… But the mischievous blond falls asleep during the speech. Nocturnal noises are heard at the factory, and one of XANA’s spectres seeps out of the Supercomputer, goes up to the laboratory and enters the terminal. Also as jealous as Yumi, Sissi comes to fan the fire by making claims that Yumi definitely won’t like! The pest convinces her that Emilie and Ulrich have been in a secret relationship for two months. While the Japanese teen is on the brink of exploding, XANA’s attack is detected, Desert Sector: Jeremy tells his friends, exasperated at the virus’ activity of late. Yumi seizes the opportunity and leaves in search of Ulrich and Emilie. Trying to get her friend to leave, she informs him of the situation. The conversation quickly turns into a severe argument! 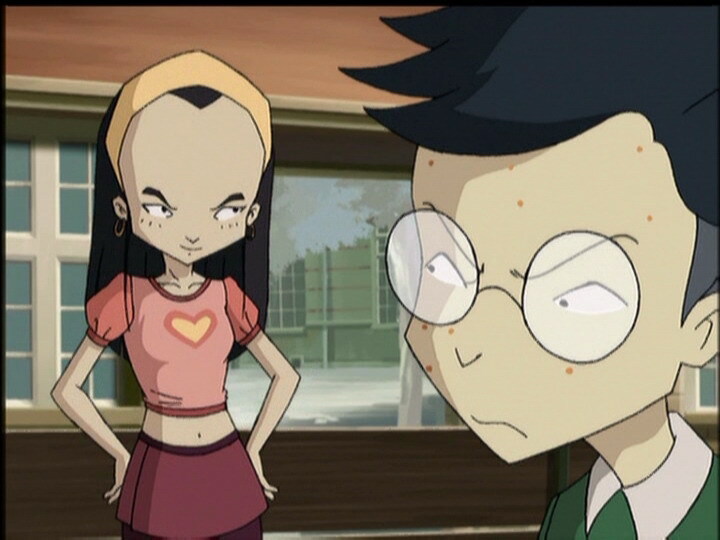 Yumi blames Ulrich for not telling her about his relationship with Emilie, and he replies that it was none of her business because she considered Ulrich as just a friend. The debate gets bogged down, up until the moment when Ulrich leaves, Yumi with tears in her eyes. She goes to the factory, followed by Ulrich far behind, seemingly more preoccupied. Taking time to tell Sissi to go fly a kite, he speeds up a little. 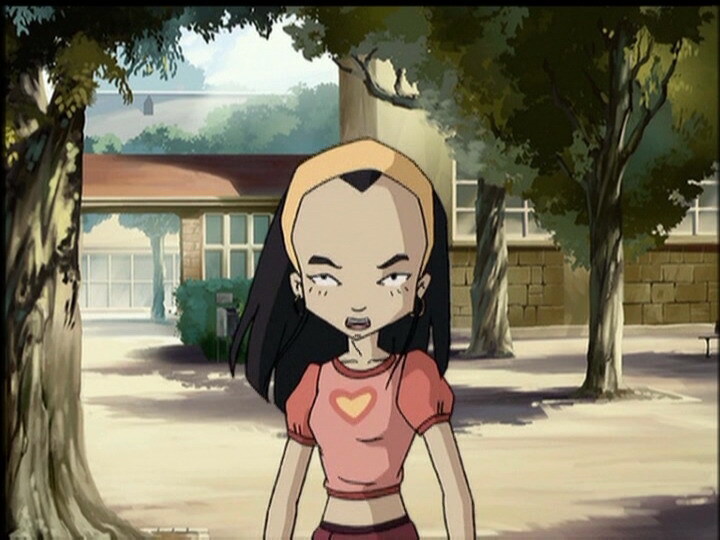 On Lyoko, the situation calms a little, but everything changes when the attack is identified: XANA has infected the computer and the rematerialisation system. If one of the teens is devirtualised, death is certain. In addition, Odd has already suffered 50 points of damage because of an error in nonchalance. Reinvigorated, the trio of fighters takes to the battle to clear the way to the tower against a Krabe and two Megatanks! Jeremy tries to repair the problem on the third floor in the Supercomputer room but receives an electric charge as a response from XANA. 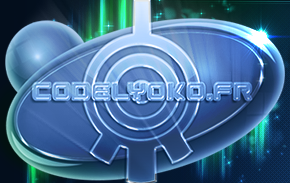 - Attack: Activate a tower (obviously) to lure the heroes to Lyoko. Bug up the rematerialisation program, rendering devirtualisation fatal! - Return to the past to save Jeremy from electrocution. - First appearance of the Supercomputer room. 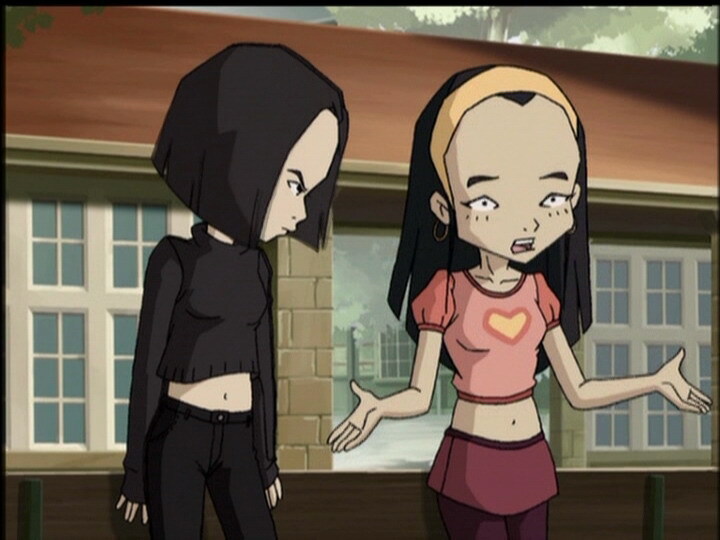 - Ulrich and Yumi almost kiss on Lyoko, but the return to the past stops the inevitable from happening. - Biggest dispute in the show between the three fighters. - Odd has created a diversion tactic called “Yoohoo it’s us”. - Ulrich sometimes gets the impression that Yumi doesn’t like him as much as he would like and that she doesn’t really have feelings for him. - Yumi becomes very jealous when Ulrich starts meeting with Emilie. - Yumi’s outfit is inversed during a shot in the first scene. 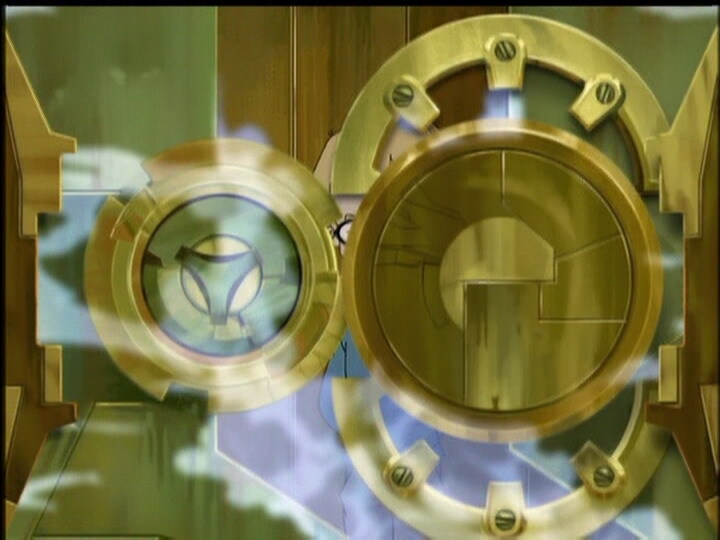 - The activated tower Aelita enters isn’t the same we see her running for. - When Yumi is knocked down by a Krab, we see it’s a shot from a Megatank. - When we see the lab, the lift access is open when this shouldn’t be the case. - The factory microphone changes often (wired or wireless) and it disappears from Jeremy’s left ear during 2 shots. - At the moment when the return to the past is launched, we see that it’s night though the episode took place during the day. - Yumi says that Emilie is a year older than Ulrich and that she’s in Yumi’s year (line wasn’t included in the English dub), but according to official sources, she’s in the same year as Ulrich. 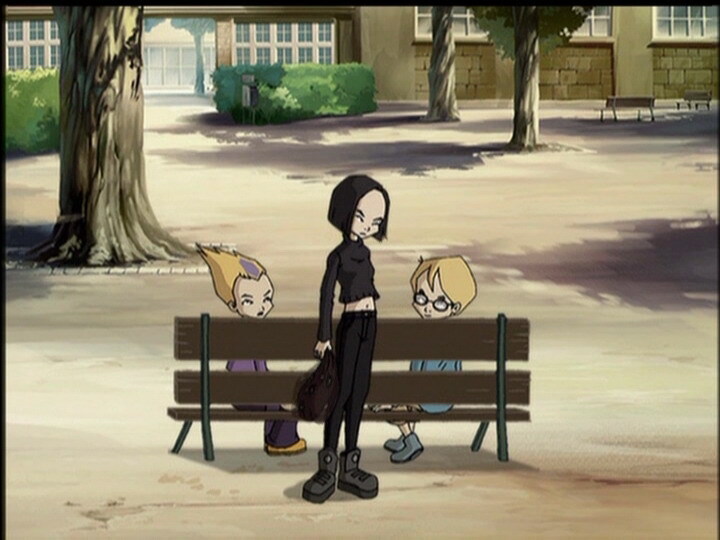 - Aelita’s outfit is inversed when she runs with Odd, before she enters the activated tower at the beginning of the episode, and before she levitates up into the inactive tower to discover XANA’s plan. - In this episode, the return to the past launches itself. - At the beginning of the episode Heidi Klinger is talking to Emilie about Odd. After the return to the past Emilie is replaced by Tania Grandjean and Emilie is with Ulrich. It would seem that Heidi was having the exact same conversation with the two girls, as well as Julien Xiao and Paul Gaillard having the same conversation as earlier, but at a later time. - First episode in which the return to the past is launched more than one time. - First mention of Odd’s diversion tactic: Yoohoo it’s us again! - First mention of the Supercomputer room. - Record beaten by a Kankrelat which takes out 50 of Odd’s life points in one impact! - Only episode ending on a flashback (Yumi and Ulrich almost kissing). - Odd tells Ulrich that he got into a fight with a girl called Marcy. However, in the French version, the girl he speaks about is Naomi, whom he was crushing on in episode 2 “Seeing is Believing”. Short circuits are used in several episodes, notably episode 16, “Claustrophobia”. Insects invade in episode 12, “Swarming Attack”. An earthquake is used in an attack in episode 13, “Just in Time”. Hardware is the physical part of a computer, or in this case, the Supercomputer. Jeremy: It’s now or never! Odd (to a Megatank): Come and get me, you bowling ball! Jeremy: As usual, guys; great job! Odd: That’s right…another XANA attack chopped up, another tower gone! Yumi: Well guys, how was class today? With Ms Hertz? Was it fun? Ulrich: Oh, the same exact lesson as before the XANA attack, so it was twice as boring. Jeremy: Once, twice, it doesn’t matter; you’ll never be any good in physics anyway! Odd: Well if it isn’t Sissi… (imitating her) Hello, Ulrich deeear! Caaan we talk for a miiinuuute? Sissi: Hello, Ulrich dear! Caaan we talk for a miiinuuute? Ulrich: First of all, I’m not your “Ulrich dear,” second of all I will not go to your room to explain exercise B page 52. Sissi: But…how did you know that I…? Ugh! Yumi: A Sissi attack is almost as bad as a XANA attack, and ten times more boring! Ulrich: So, anyone feel like sneaking out and going into town for a while? Odd: Count me out, I’ve got a heavy date with my pillow! Ha! 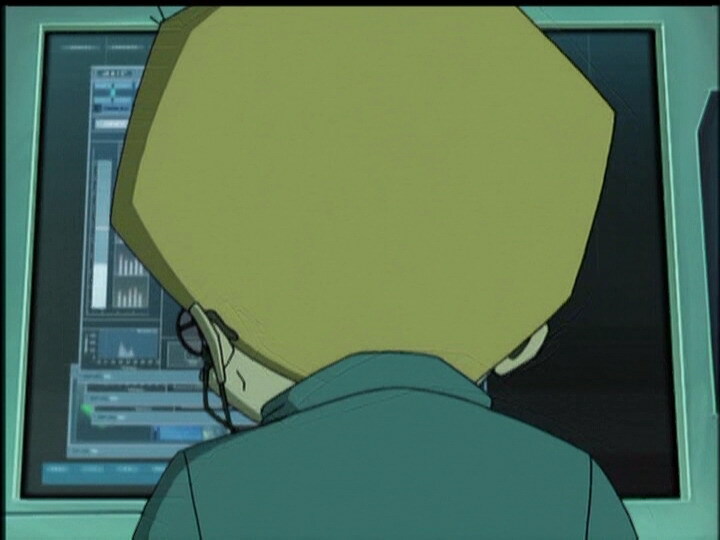 Jeremy: And I’m going to work on my program for materialising Aelita! One of these days I’m gonna do it! Ulrich: How about you, Yumi? Wanna go into town and have an ice-cream? Yumi: No, not tonight, I’ve got to do a little studying…I’m way behind thanks to all these XANA attacks. See you tomorrow! Odd: Aaah! You ought to take a shower! It really relaxes you! Ulrich: Tell me what your day was like. Odd: Oh, nothing special, let’s see now…I had the embarrassment of my life in gym class. My shorts tore, you can guess where. Then I lose my pencil case in the library, and to finish the day I had a fight with Marcy… Aaand that’s what my day was like! Ulrich: But what I mean, Odd, is…don’t you feel you’ve already had the same exact kind of day? Odd: Well yeah, but that’s normal! Don’t forget we had the same French, English and physics class twice! 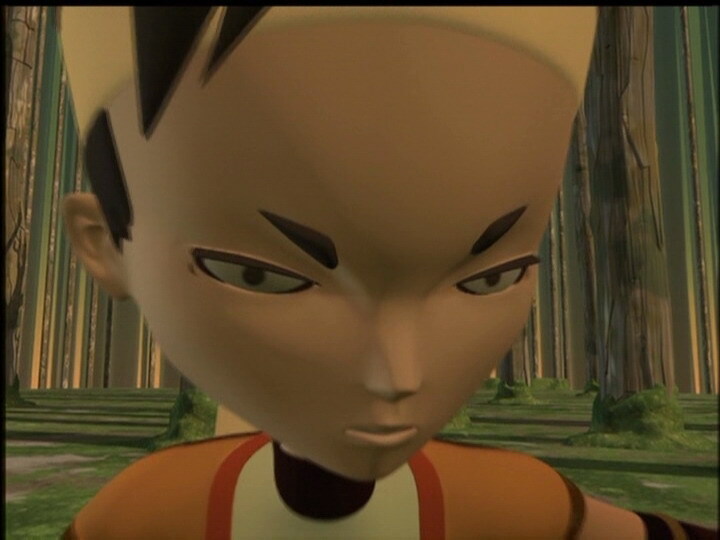 And on Lyoko is was “yoohoo, it’s us!” for the seventh time. 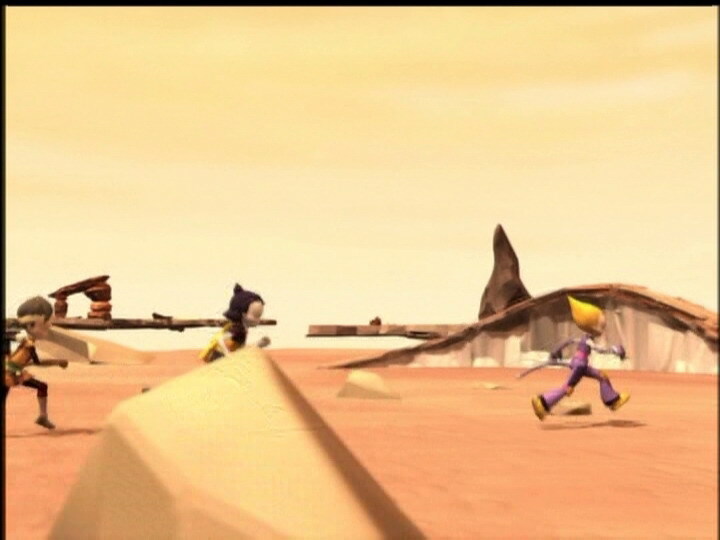 Odd: That’s what I call our game plan, you know, the one we use to help Aelita to reach the tower safe and sound. Why all these questions, hm? Ulrich (passing Emilie): I don’t believe it…does she have a thing for me, huh? Jim: Ulrich! If you’re gonna sleepwalk, do it in your room! 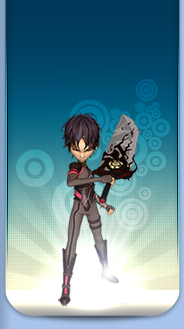 Yumi (thinking): Ulrich? What’s he doing with Emilie? They sure don’t look bored! Odd: He’s just talking to her! What are you, jealous? Yumi: What? Me, jealous of Emilie? You’ve gotta be kidding! Besides, she’s a year older than him! And that’s a lot! Jeremy: Guess what! You are also a year older than him! I guess you just forgot! Yumi: Yeah? Well it’s not the same thing! I’m Ulrich’s girlfriend! (blushing) I-I mean…I-I mean his…good friend! Jeremy: You know, Ulrich’s been kinda down in the dumps. So if he wants to talk to another girl, don’t make a big deal out of it! Yumi (yelling): Who says that I am?! Nicolas: Oh, this machine’s gonna drive me bananas! Herb: Hey, that’s double big news! Ulrich without Yumi, and Ulrich with Emilie! Sissi: Emilie?! How dare she?! The nerve of her going after him! If Yumi’s out of the picture, I’m next on the list! Speaking of Yumi, she’s not taking it too well! Herb: Neither are you, Sissi! Sissi: Shut up! I just got a really great idea that’s bound to make Ulrich all mine! Sissi (to Yumi): Quite a romance going on there! Two months already, that’s not bad! Sissi (faking surprise): Oh, I thought you knew! Doesn’t Ulrich tell you everything? I mean you two are so close! I’ve decided to give up on him. There’s no hope, I’ll have to do my best to forget him! And if I were you, I would do the same. Yumi: You’re not me, Sissi, so save your advice if you don’t mind! What a pest! Herb: Sissi, you mind explaining your strategy? Jeremy: I’ve never seen him so active as he is now… Sorry, guys, you’ve gotta go back. And right away too! Odd: Well as they say, when you gotta go, you gotta go! Jeremy: Hm…Ulrich has shut off his cell phone! Yumi: Yeah, he’s much too busy with Emilie! Hang on, I’ll go and get him! Emilie: Wanna go for a walk, Ulrich? Yumi: Hey, Ulrich! C’mere for a second! Ulrich: Hello Yumi! I’ll be right back, ok? Yumi: I hate to disturb you Romeo, but Jeremy’s been trying to reach you! XANA’s just woken up! Ulrich: XANA? Again? Go on, I’ll be right there. Yumi (grabbing his shirt): What do you mean, “go on”?! Ulrich: Cool it, huh Yumi? Yumi: Ok, I’ll cool it…first tell me what’s going on with you and Emilie. Ulrich: Nothing’s going on! I like her, we get along really well! I don’t understand the problem…unless that bothers you! Yumi: Bothers me?! No, it’s just that…that you could’ve told me about it…like a buddy huh! Ulrich: Oh, I get it! You think of us as buddies! I wondered what you thought of us, and now I know! Yumi: That’s right, a couple of pals, and nothing more! And besides, that’s the way you want it! Not like Emilie, huh? Oh, Ulrich! Ulrich: Ok, what do I really mean to you? And be honest, huh? Yumi: Me be honest? You and Emilie have been together for two months without a word, and you tell me to be honest? Ulrich: Where did you get that idea?! Emilie and I are not…tch, oh, forget it. I’m not gonna defend myself to you! Ciao! Yumi (answering her phone): Ulrich?! Oh…Jeremy…yeah, I told him. He’s on his way there. Sissi: Now that act 2 is over, the final act is all mine! Herb: All yours? But what about Emilie? Sissi: Oh, for a pro like me, Emilie is no problem! In exactly 30 seconds Ulrich will be in my arms! Sissi: Ulrich, dear, I have to tell you something! It can’t wait any longer! Ulrich: Sissi “dear,” under normal conditions I would take the time to tell you to go fly a kite, but this time I’ll be less polite and just ignore you! Odd: What if the attack is aimed at us directly? For example, this argument between Yumi and Ulrich! Suppose that XANA is just using Emilie to mess with our heads? Ulrich: I got a better idea; he’s using your ridiculous theories to distract us. Odd: What’s the matter with you? I was just trying to help! Yumi: Give us a break, Odd, will you? Stay out of this! Yumi: Send Ulrich, Jeremy. He needs to be entertained! 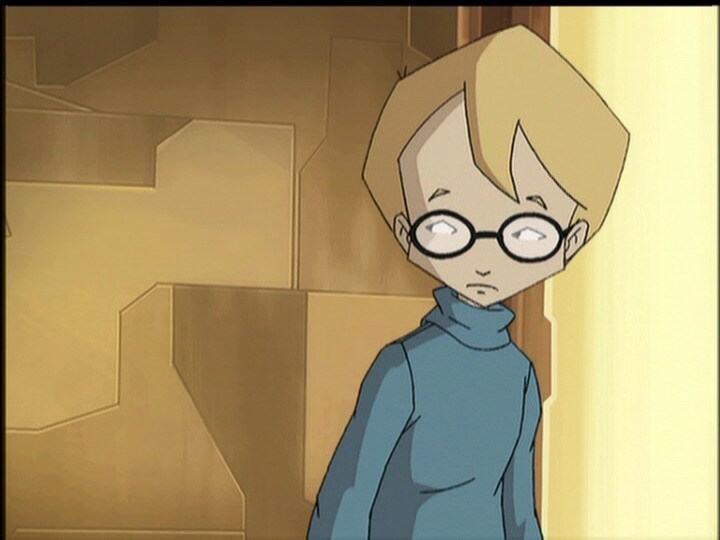 He’d love to go to Lyoko! Ulrich: Ladies first, get her out of our hair! Jeremy (punches the arm of his hair): Look, I’m getting tired of all this quarrelling! 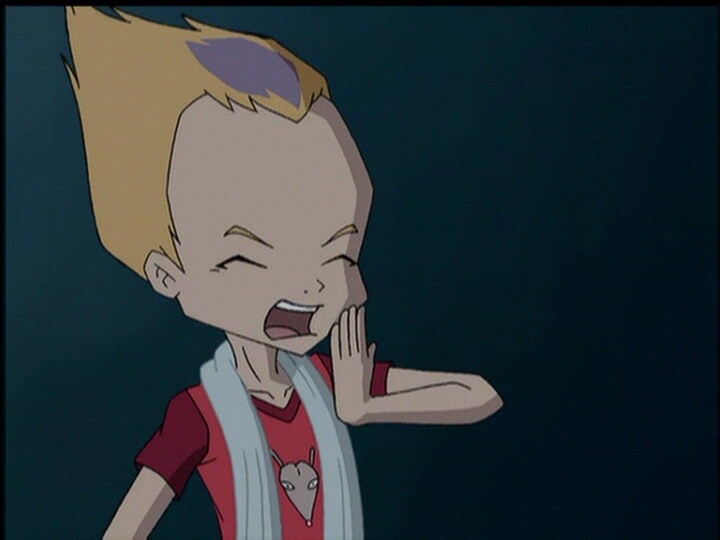 Aelita needs us, and that is what I call an emergency! So head for the scanners, all three of you are going! Aelita, help is on the way. I’d better warn you: Yumi and Ulrich are a bit, well you might say…buggy. Aelita: I hope you’re not going to kill each other if I leave you two alone! Jeremy (understanding what the system bugs can do): Odd, watch out for lasers! This monster could kill you for good! XANA’s monsters can prove fatal to you! Yumi: One thing is sure; XANA’s really trapped us. And we’d better not make a mistake this time. Odd: It’ll make the fight a lot more exciting! Jeremy: Listen, XANA, if you think you can impress me with your cheap, two-bit virus, you are mistaken! Jeremy: I’m never gonna get it to work! Phooh…XANA has completely wrecked the circuits! There’s only one possible solution. Work directly on the hardware! Yumi: It’s all over. If we try to get through all this, we’re done for. 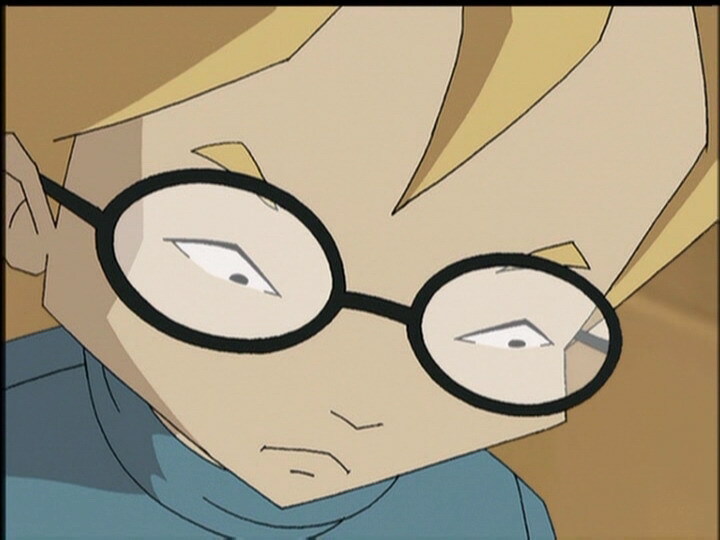 Ulrich: You never know…we just have to hang on until Aelita enters the code. Odd: It’s yoohoo it’s us time! Odd: Keep rolling! Laser arrow! Jeremy: Bingo! You were just- (is electric shocked) aaaaaaaaaaaaah! Ulrich (to Yumi): It’s ok, I’ve got you! Sissi: Quite a romance, don’t you think? Two months already, huh? Yumi (smiling): Really, two months? That long? Ulrich (to Emilie): There’s Yumi. So long now, Emilie! Emilie: So long! Ain’t love grand? Ulrich (to Yumi): Hi, I was waiting for you! Yumi: So was I. Two months is a pretty long time! But Sissi was here to keep me company! Sissi (thinking): Bunch of creeps! Ulrich: Yeah…I agree, not a word! Jeremy: Come on, Ulrich! Don’t forget we’ve got Ms Hertz’ classes to go to one more time! 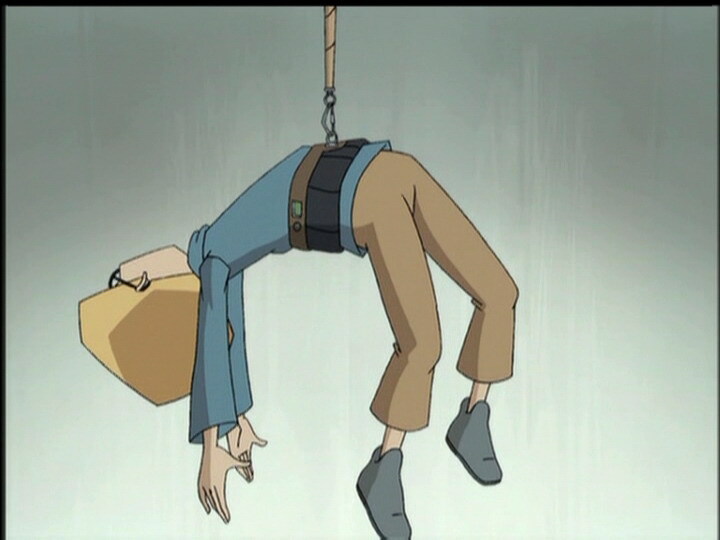 Odd: Well it wasn’t all that boring on Lyoko, was it, Ulrich? Ulrich: You’re right, Odd. And I learned something too! (flashback to the scene of him and Yumi almost kissing) Something super important!